We specialize in 3D/4D Ultrasound starting at 12 weeks – 36 weeks in pregnancy where you can bring your family along for the journey. Beautiful Beginnings 3D was Established in 2009 and has remained a family owned studio. 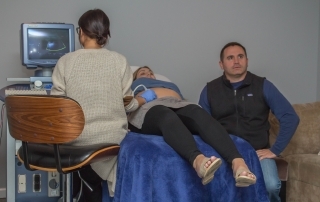 We are the only non-diagnostic ultrasound studio in Westchester And only employee Certified and trained Ultrasound Technicians. • We offer a family oriented environment that allows everyone to enjoy a positive bonding experience together. 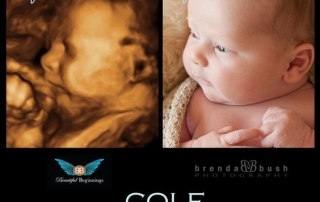 • Our licensed sonographers will show you the amazing features of your developing baby. We understand the importance of this special day for you and your family. We strive to create wonderful memories for you and your family. 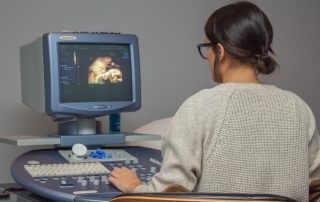 Your family can trust Beautiful Beginnings to offer you a safe and memorable ultrasound during pregnancy. Early gender reveal starting at 15 weeks in pregnancy! Invite family & friends to share this amazing bonding moment with you. 3 4×6 Picture Prints, a chance to listen to your baby’s heartbeat and more. Frequently Asked Questions for Families Excepting! Beautiful Beginnings gives such accommodating service . 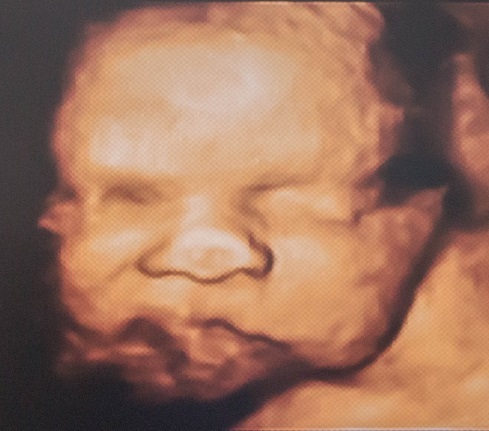 I was so anxious after all the sonograms I had at the doctors office , since the technicians there tend to try and get through each patient as quickly as possible….but here they gave me plenty of time to peak at my precious baby. They have room enough to bring family and friends if you would like to share the memories. The technician there assured me even if there was some difficulty getting a good look they would take time to wait & try again or have me back on another date. True to form my princess was hiding and we needed a break to get her to wake up and move about. 20 mins later she was very active after a snack. I can’t say enough about how pleased I am and I can’t stop looking at these images! Overall great experience. The facility is pretty, comfortable and inviting and the staff were all friendly and helpful! Our tech, Tessa, took her time to make sure we got some great views of the baby which were captured in amazing photos and a video for us to go home with. Our hospital did not offer 3D, so to be able to see our baby with our family was an amazing experience we won’t forget! Thank you!! I can’t wait to compare the photos to what he looks like in just a few weeks! Beauiful Beginnings 3D is located in the lower level of the Midway Shopping Center, located on Central Avenue off of Ardsley Road.